Several regions of Quebec will start planting quinoa following the success of Ontario producers and processors of quinoa. Katan Kitchens, producers of Quinta Quinoa, partnered with PANGEA, an agricultural company in Quebec and Ontario, to test Quinta Quinoa in Quebec’s soils. The quinoa variety will be planted this year on farmland in several regions of Quebec: Centre-du-Quebec, Lower St-Lawrence, Lac-St-Jean and Chaudières-Appalaches. 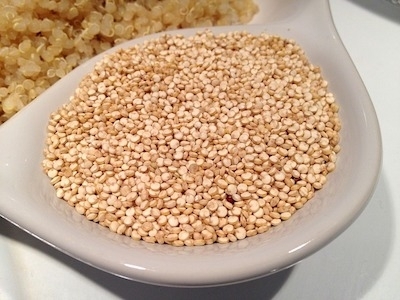 Quinta Quinoa is the first Ontario-grown high-protein high-nutrient variety of quinoa. Jamie Draves created Quinta Quinoa because of his dissatisfaction with the quality of imported quinoa. “We are two to four times the nutrient and mineral value of any other quinoa on the market,” says Jamie Draves, founder and CEO of Katan Kitchens. After a successful pitch on Dragons’ Den, Katan Kitchens has been growing ever since. Top Crop Manager previously wrote about Quinta Quinoa, including Draves’ partnership with university researchers in Guelph to produce quinoa varieties specifically bred for Canadian conditions. Quinta Quinoa first appeared on grocery store shelves in 2016 and continues to grow as Quebec producers are added to the mix. “Quinta Quinoa has become a strong crop opportunity in Ontario as a result of long-term breeding and innovative seed development plan. We are able to use these practices to hopefully accelerate the development of growing Quinta Quinoa in Quebec with these progressive producers,” Draves said in a statement.